It's big, it's bad, it's ALMOST ready to go! Keith decides the DRZ just isn't giving him the "grin" factor that he wants and determines a KTM 380 could be fun! So here is the new arrival. A 2000 KTM 380. It arrived the 18th October and was picked up the 21st and it's first ride will be on the 26th. It has been removed from the crate, inspected and assembled. We have been scrambling to get the small repairs completed prior to the weekend. It arrived missing the front odometer side wheel spacer and the fork seals were leaking. The parts have been ordered, should be arriving on Friday evening. The forks have been disassembled, waiting for the new seals. Then reassemble everything and we should be ready to hit the dirt in the early AM of the 26th! Well it was ready for the morning of the 26 October. But by the end of the day it was no more. A seizure at around 90 miles from where we left the truck ended this day of riding. We spend the better part of that Saturday night working on the DR and hoping to get it running for Sunday. By the early afternoon on Sunday we had the DR running and got to get a few miles in so the day wasn't a total waste. However the DR just couldn't handle the punishment and the fork seal on the left side gave out. So with three weeks before our next planned ride it looked like the KTM380 would not be ready for the November ride so it was time to make sure the DR would be. During the next two weeks the DR got new fork seals and a little TLC to bring it up to the DesertMX standards. 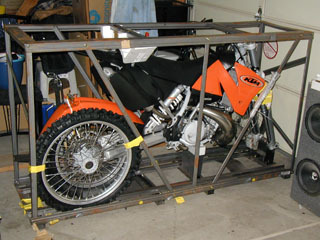 The KTM380 cylinder was sent out to be re-plated, and the KTM300 received a new top end, tires, and muffler packing. 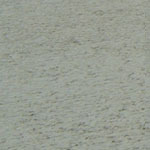 Be sure to check out the Maintenance page for some good articles on the 300 top-end replacement.